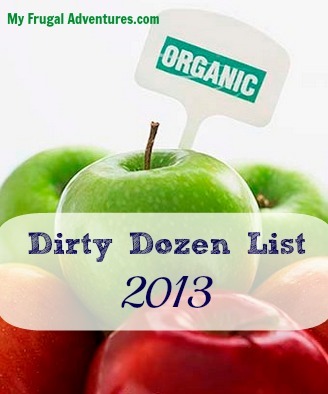 The new Dirty Dozen and Clean 15 Lists have been released for 2013. This is a list of produce items that tend to have the highest levels of pesticide residue (even after being washed and peeled). So if you are interested in organics, these products are the ones that you want to focus on (in order of importance). The cucumbers surprised me- we eat tons of those and I rarely buy organic. 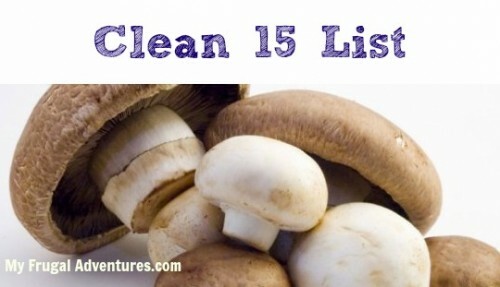 And here is the Clean 15 list for 2013. These are the items with the least amount of pestiside contamination found so these are not as high of a priority when buying organic. 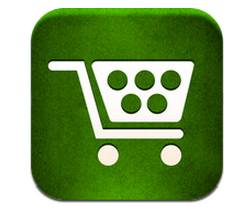 There is a free Dirty Dozen app you can grab that has these lists available. So for sure any produce is better then no produce in your diet. This is just a guideline to help determine when it is best to splurge on the organic. 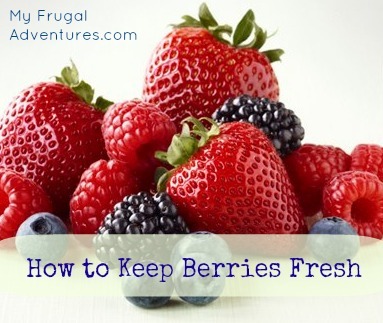 Here is an easy tip for how to keep berries fresh for longer. 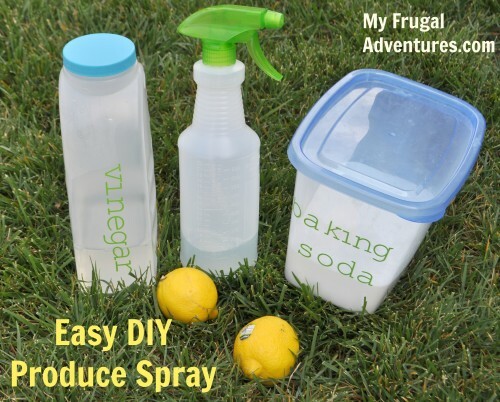 And how to make a quick and easy Produce Spray. Thanks for posting the list. Maybe the cucs are on the list because some people eat the skin. Let’s support our local organic farmers whenever we can to keep them in business. This list mad me sick when I heard that in a test done with kids that after 5 days of kids being on organics they had 30% less pesticides in their urine wow 30% in 5 days thats a big difference. All kids eat are apples strawberries and grapes right? I have 8 kids to worry about but I cant afford organics right now, what do you do? Thanks for this list! I can’t wait to own my own home/property. I’m doing a container garden this year, but as soon as we have even a little land to manipulate, I’ll be planting fruit trees and setting up lots of garden boxes. Hopefully the farmer’s market opens soon! I’m in the Pacific NW. Thanks, too, for the list. I still buy organic sweet potatoes because I eat the skin. I think that if you eat the skin of a fruit or vegetable, it’s probably better to buy organic. Recently, organic bananas were 10 cents cheaper than regular bananas at Safeway. I thought I would never be able to afford organics. My budget is extremely tight. But I decided that I could not afford to not afford organics when it came to the health of my kids. So, I took money away from non essentials and purchased the organics that were on sale each week at all the grocery stores in my area (Safeway, Savemart, and Raley’s). I only buy what is on sale, and I use coupons too. Earthbound Farms is very generous with coupons. You can do it, it is possible. Oh and btw, some of the “non essentials” that I gave up buying are all packaged, processed, and unhealthy foods. Hope this helps. Good luck. I always wonder how corn makes the clean list? of all the things we should eat organic, it should def. be corn and soybeans (and all the things made from them which is basically every processed food). I know it has to do with pesticide amounts, but genetically engineered foods scare me way more than pesticides. Thanks for the list and the reminder, it’s easy to slip back into buying non-organic esp. on something like strawberries since they cost so much! Thank you for this information. Iam based in Ireland but have links with UK and British. Can you tell me, are you all US based? If so I’ll send the info on to a friend in Kentucky, if it’s UK based I won’t need to. I just don’t recognize some of the shop names. Hi Rosemary- yes this is all US based. Most of our produce comes from the US, Mexico and Chile so this will likely be different for you. It should be fine for your friend in KY though. Corn is on clean list because you have to peel the outer layer off before eating. Some other recommendations are trying to plant some fruit trees, berry bushes, vegetables. This may also be able to help on costs and gas. Nothing better than home grown. Hi there. I found your site while doing some research on the Clean 15 and the Dirty Dozen. I am a Nutrition Teacher and often teach a lesson or two on organic foods. I do see the list has been updated to add Mushrooms, and Papaya to the Clean list (and removing Watermelon and sweet onions). In the same respect, Nectarines, Cucumbers, Cherry tomatoes, and hot peppers were added to the dirty dozen and therefore removing Blueberries, Kale, Lettuce, and cherries from the list. Do you have any information as to why some have been removed and others have been added? Also, can you direct me to the source of this article? I have looked on the USDA site and have found nothing. I am writing an article on this topic and need a reliable source to reference so I was just wondering where you were able to get this updated information. Thank you for any help you can provide! You can contact me through my web address in my profile. Thanks!